Bombing down the M56 in a hired VW Golf (the new automatic not the 80’s tank) with the sun blazing and Jamiroquai blaring. 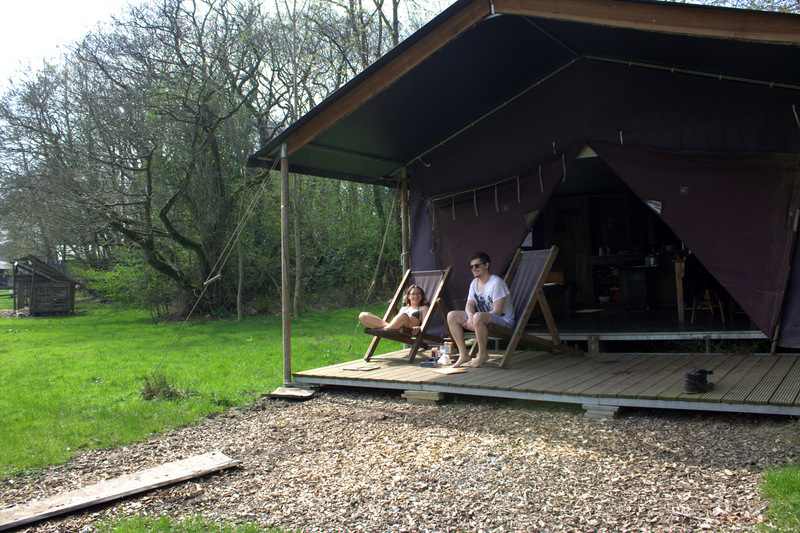 It’s early May and my companion, Grenouille, and I are driving to Shropshire for our first ever glamping holiday with Featherdown, one of the top purveyors of luxury camping in Europe. 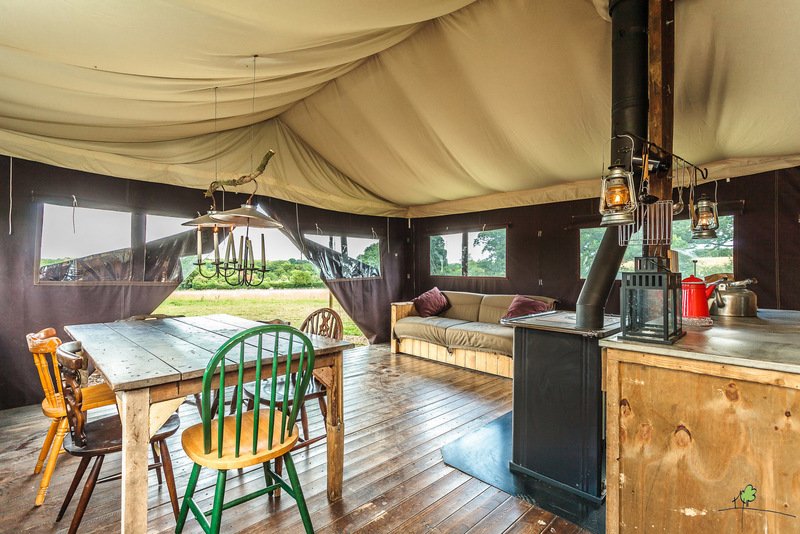 Hosting 65 different locations across seven countries, Featherdown specialise in glamping on farms. 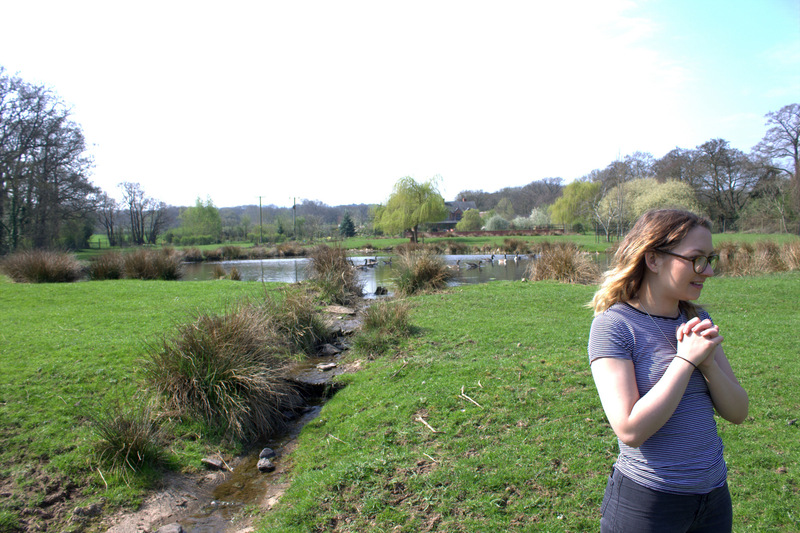 We were to stay on Upper Shadymoor farm in a luxury canvas lodge for the long weekend, which was very much the subject of conversation as we made headway at around 70mph – until Grenouille slammed our hired VW Golf into park. Turns out that this automatic car has a secondary park button (the handbrake in a manual). It’s about the size of a Zippo lighter and is found, incredibly, on the passenger side. So it must be said that the nonplussed Grenouille was not completely at fault despite the severity of the situation and thankfully, after an almighty squeal from the brakes (and myself), we managed to pop it back into drive without causing a pileup ripe for the evening news. 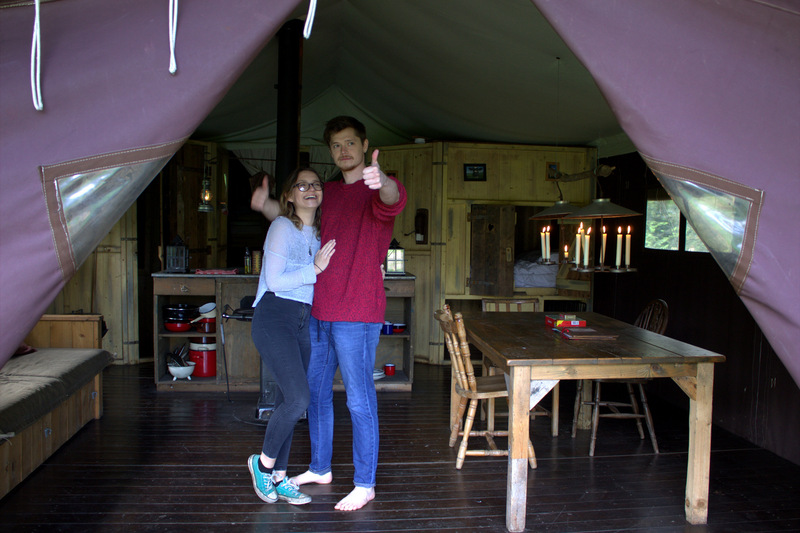 It was to be our last mishap with technology on our trip, with glamping on Upper Shadymoor taking us very much back to basics. Having parked the car after our three-hour journey just at the front of the 200-acre farm, we bid goodbye to both electricity and Wi-Fi as Kevan and Joy, the wonderful husband and wife owners and our hosts, took us to our canvas lodge with their tiny dog, Mouse. It really was quite a sight. 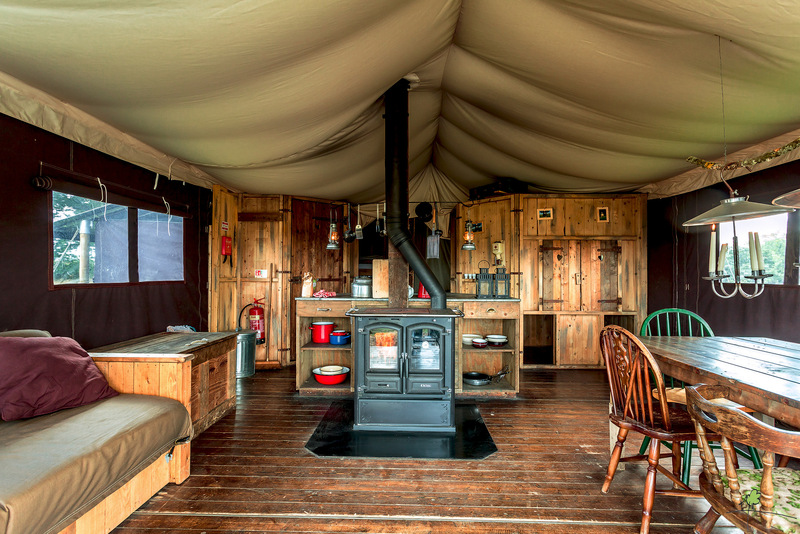 Made up almost entirely of wood and canvas, bar the wood-burning stove in the centre, a sofa and a large array of kitchen utensils; our lodge looked and felt like the inside of a shop down Diagon alley, bar an owl or two. Candles and oil lamps flickered in the mid-evening breeze, illuminating a large, oak dining table and a sweeping kitchen area. Beyond that, two bedrooms – one with a bunk bed and one with a large double – a toilet and shower room and even a secret cupboard bed (the one we immediately chose in which to nest). With the fire crackling and only the movement of the trees to be heard in the great dark outside, even the most steadfast of punters would surely cave to inevitable pangs of romanticism. And if somehow not then, certainly the first morning of collecting eggs from one of the private chicken coups just outside for the freshest scrambled eggs imaginable, enjoyed on either the picnic table or snuggled in deck chairs on the veranda. Unlike the irrepressible Withnail and I, we had everything we could possibly need. Scrambled eggs that first morning was followed up by a tour of the farm by Kevan and Mouse. This started with the farm proper, a mob of curious sheep and two Shetland ponies (who were best friends). 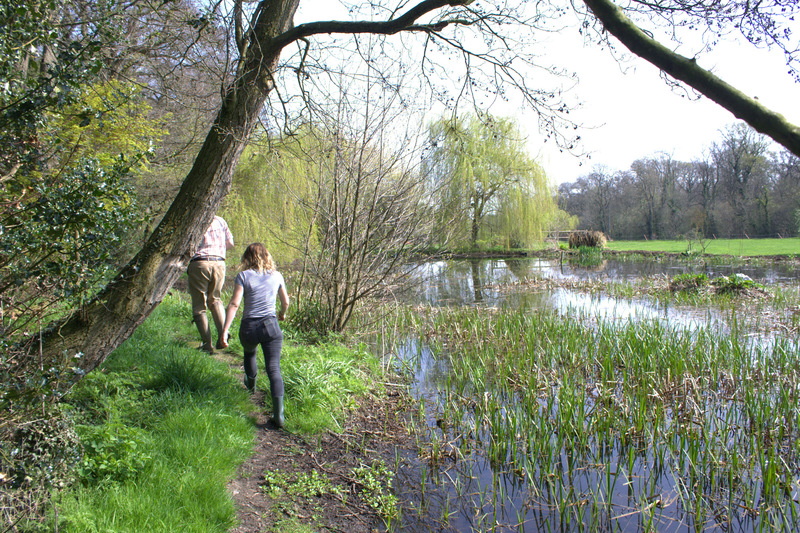 The grounds were resplendent in the morning sun, which danced over the lake as geese practiced dive-bombing before any of our fellow glampers on the farm went for a swim or even a kayak. There’s even a hot tub here for vaguely chilly evenings and some sort of water trampoline for the kids which can be jettisoned out into the lake proper when you crave a bit of alone time. 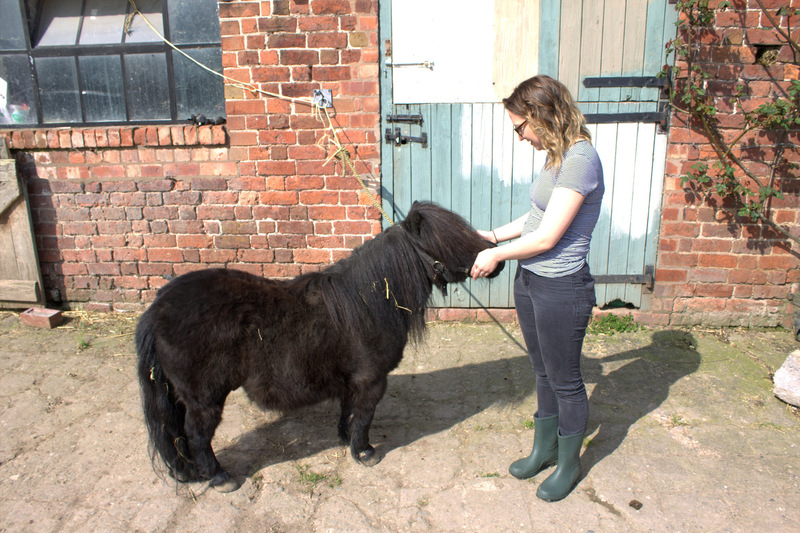 Along with all the water activities, there’s also plenty of horse riding opportunities, fishing and the very real lure of countryside amblings. A herd of red deer galloped around the far side of the lake as we spied a carefully tended nest of geese eggs. As a city mouse, sights of antiquated country life such as these were just breath-taking. As it was for Grenouille, the country mouse hailing from just outside Colchester. Munching wild garlic leaves found at the end of the tour down a little unused road, we were rewarded for our trek with the chance to feed a little baby lamb. Pangs and swathes once more. No holiday is complete without good food and, aside from the eggs, there’s plenty to be getting on with. At the farm, you’ll find The Fox’s Larder which stocks all essentials (oil, firelighters, candles, etc.) as well as local meat such as partridge, pheasant and venison. Open 24-hours, the larder is invaluable and even sports a couple of plugs for those desperate for a bit of phone charge. Trips can be made into nearby towns for supplies. We visited Shrewsbury, Dorrington and Stapleton on mini-excursions, sampling the many local pubs and generally losing ourselves in old country England, not before returning to base with red wine, snacks and forgotten board games to while away our early summer evenings at the whim of the lamps and candles. The joys of making your own fire, either in your lodge, with the outside stove or even with the nearby pizza oven, cannot be understated. Learning to use the compliment of freshly chopped logs available nearby was an experience I’ll never forget. On chilly evenings, returning to the lodge to start a fire for both dinner and general warmth was just charming and, being a chef myself, priceless. 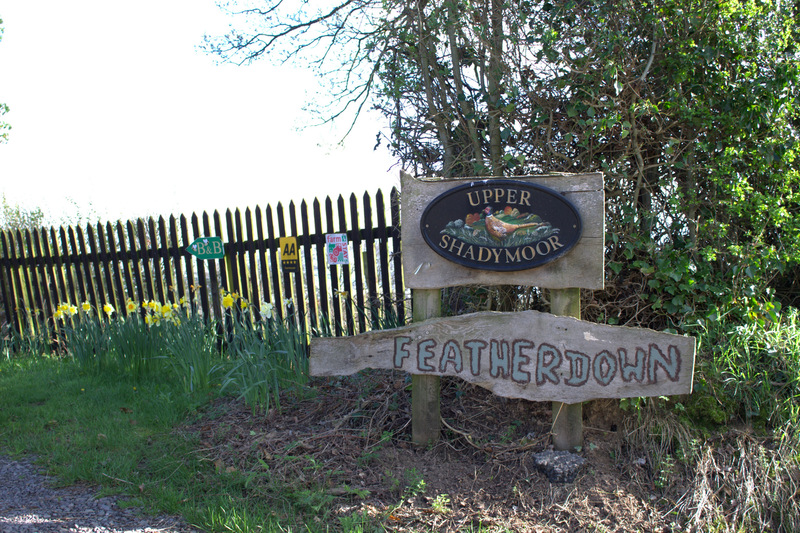 But if you fancy it, Upper Shadymoor comes complete with a chef on site, with partridge crowns, blackcurrant port sauce, new potatoes and assorted farmed vegetables one of the two dinner options we spied on day two in The Fox’s Larder. Spaghetti with homemade meatballs and tomato sauce, a bottle (or two) of Malbec from the local Waitrose and an assortment of all things chocolate set us up brilliantly for our last night – a four-hour Monopoly session and a four-hour discussion on which of the farm animals we’d most love to sneak back to London. 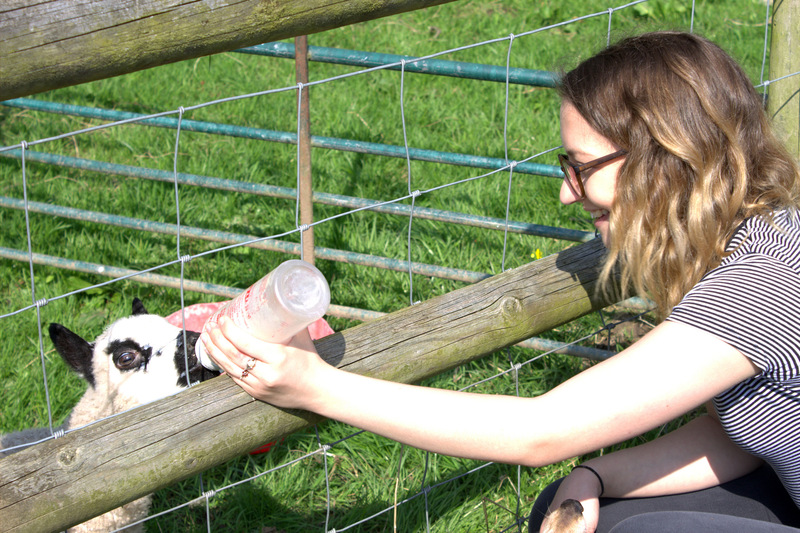 The lamb we fed, which we’d named Oliver, just about ousted my first choice of a squawking, bomber goose. It was eventually decided, however, that instead of stealing farm animals, we’d be best served stealing ourselves another long weekend in the near future with Kevan, Joy, Mouse and our amazing Featherdown farm getaway.